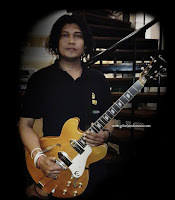 www.gitarisindonesia.com - Rahmad Firdaus was born in Riau, 06 October 1980, has been playing guitar since 18 years ago. He also known as a jingle maker, arranger and music director. Currently Rahmad still continue learning guitar from Donny Suhendra, guitar legend of Indonesia. Rahmad’s style influence by Scott Henderson, Greg Howe,Allan Holdsworth, Donny suhendra, Tom Quayle, Martin Miller, Jimi Hendrix, Jimmy Page, In his early experience, he established a band hard rock called "Mugidugi" which was popular in the local community. Throughout his musical experience in Indonesia, Rahmad Firdaus has collaborated with many famous guitarists such as Donny Suhendra and Puguh Kribo. 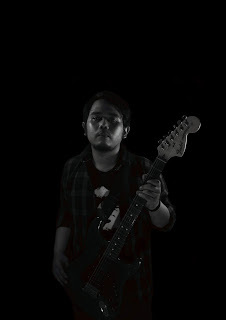 Rahmad Firdaus also known as one of founders for Tangerang Guitars Community (TGR). Rahmad activities involves music events for education and commercial. 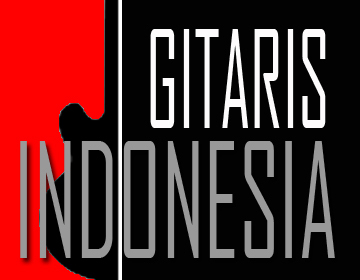 Now a days Rahmad Firdaus registered as a guitar teacher in Gilang Ramadhan Studio Band. Rahmad Firdaus genre of music influence by jazz, blues and rock. Rahmad Firdaus started his professional career as a musician, he has mainly used a Epiphone SG G400 pro as his main guitar, occasionally using Epiphone Casino instead. Rahmad uses Laney irt30 112 tube amp amplifier, amptweaker bigrock pro effect, hbe paradrive, zoom ms70cdr dan aeres power supply.